The bird skull is cast from a real magpie skull into sterling silver. 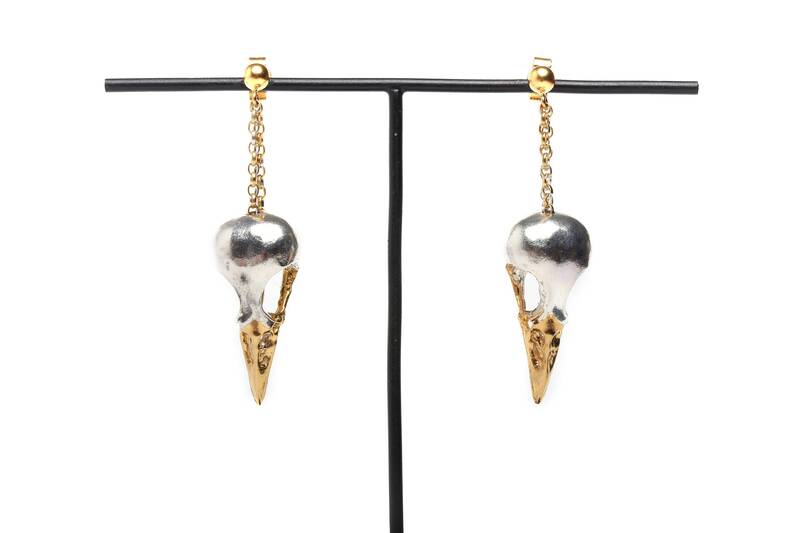 The beak and chain is gold plated with 24ct gold. These are made to order so please allow a few weeks for your item to arrive.